in Gilbert & Queen Creek, AZ! Sign them up now for a FREE trial class to help them determine what USA Youth Fitness program they like best! USA Ninja Warrior Night is our biggest BOYS ONLY event all year! 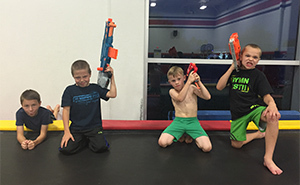 Join us at USA Gilbert for a fun sleepover where the action never stops! Get ready for jousting, Nerf wars, obstacle courses, sports, pizza and more! Geared for ages 5-14. Sign up early, this event always sells out! Give your kids something fun to do this summer break while keeping them active, right here in Gilbert, AZ! Camp activities include open gym, games, obstacle courses, field trips, crafts, special guests & more! Registration opens soon. Learn more. Join us at our Gilbert location each week for a fun afternoon to start the weekend off right! We'll play games, dance, make crafts and of course have plenty of open gym time. Bring a lunch or order one from our Cafe USA! Ages 3 (+potty trained) to 12. Stop in for daytime open gym any day of the week! After a quick group stretch lead by our coaches, kids are given free reign over fun gym equipment! 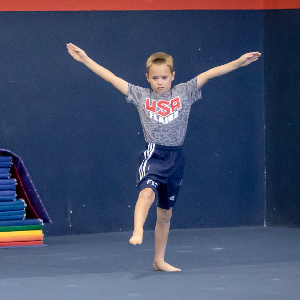 After taking turns bouncing on the trampolines, climbing the rope, swinging into the foam pit, walking on the balance beams and cartwheeling around, your kids will burn away tons of energy! Have an upcoming birthday to plan? 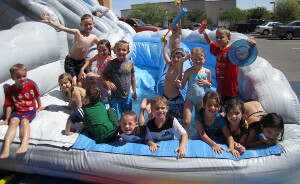 Don’t forget that USA offers fun birthday party packages every weekend at both our Gilbert & Queen Creek locations! Party packages include open gym, games and a private party room with your very own party host. View available times and reserve your party online now! Boys and girls walking through age 2 1/2 years are welcome to drop in for a FREE 30 minute class each week at USA Gilbert to introduce your tiny dancer to the classroom setting through a warm, inviting and engaging environment. Parent participation required. No pre-registration needed. Built in 2007, our original 24,000 sq. 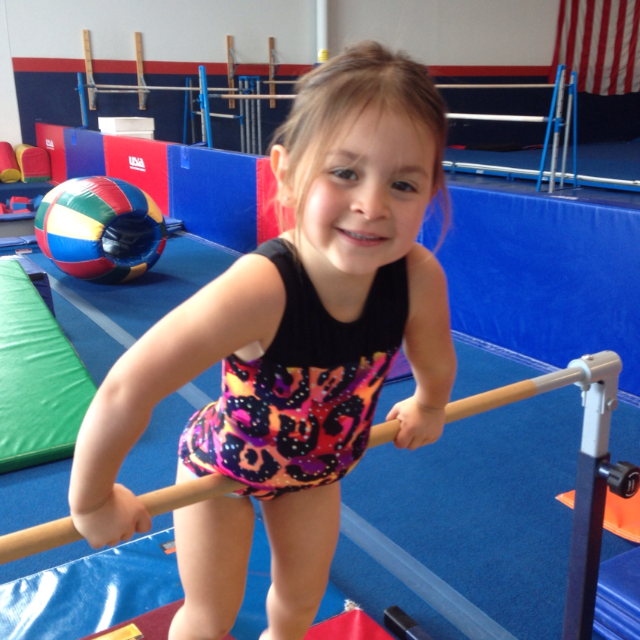 ft. facility is dedicated to our Gymnastics and Preschool programs. This facility is home to our women’s gymnastics competitive team, USA Illusions and our men’s competitive team USA Flairs. 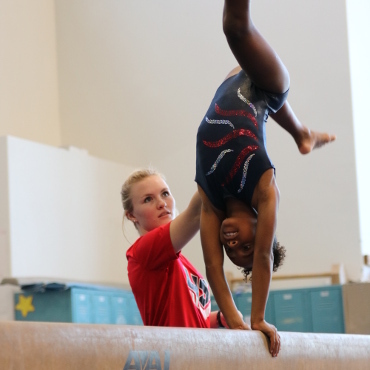 It holds 2 spring floors, 3 trampolines, 1 full in-ground tumble track, 4 in-ground foam training pits, complete men’s and women’s Olympic gymnastics training equipment and a large preschool area with small gymnastics equipment. We added a new gym right next door to our original facility in 2012 to accommodate our ever-growing programs! 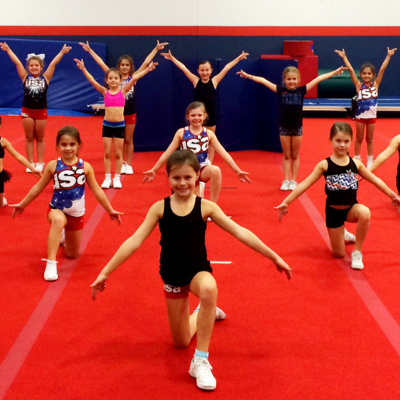 It is the home of our USA Starz All-Star Cheer Teams, USA TNT Dynamites (Trampoline and Tumbling), USA Dance and our Recreational and School Tumbling Programs! This 22,000 sq. ft facility includes 5 dance rooms, 6 trampolines, 3 tumble tracks, 2 full size spring floors, 4 in-ground foam pits and our Café USA – Frozen Yogurt, Coffee, Sandwich & Snack Shop! USA Youth Fitness Center expanded once more in 2014, this time to a new city! Our state-of-the-art 15,000 sq. 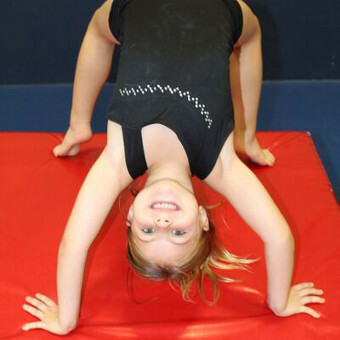 ft. Queen Creek facility is home to recreational Boys Gymnastics, Girls Gymnastics, Preschool Gymnastics, Cheer and Tumbling classes! 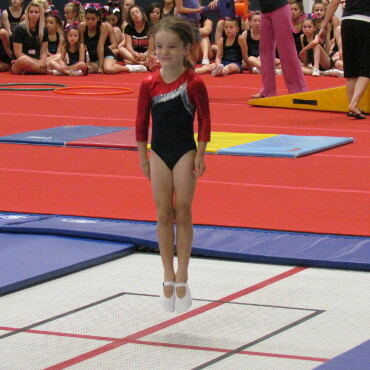 This gym features 2 full spring floors, an in-ground tumble track, 3 in-ground trampolines, complete gymnastics training equipment and 2 foam training pits!